How Can You Stand Staying At Home? I’m often asked that question. It implies that staying home, raising our children, is less desirable, fun or respectable than working in an office. Personally, I can’t imagine any joy greater than staying home with my baby, cooking for her and my family all day, and being her best friend and teacher. That’s not what we’re all called to do, nor what we’d want at every phase of life. Maybe that’s why some women feel it’s less desirable than working in an office. At twenty I already knew that I would marry and have children. But I also knew it would be a long time before that happened. At that time, I was also clear that I would raise my child with certain standards that required me to stay home with them. I somehow knew I wouldn’t want to stay at home (in the same house or even the same country!) in my 20s, nor likely even in my 30s. And I was right about that. If I’d married and had children “before my time,” I likely would not have discovered the same joy in the role of matriarch. Perhaps another reason mothers ask that question is that the role of matriarch hasn’t been given due respect for decades in the U.S. There are few role models of strong, intelligent, successful women choosing the beauty of motherhood as top priority. I also suspect there’s another reason many women ask that question, and I’ll tell a story that demonstrates it well. One of my cousin’s friends, after her fourth miscarriage and failed IVF procedures, decided to adopt. After the adoption was complete, she conceived, naturally and quite by surprise. Ten years of trying and four miscarriages left her the mother of a one year old and a one month old. Three months at home with the two babies was enough. She went back to work in her office. 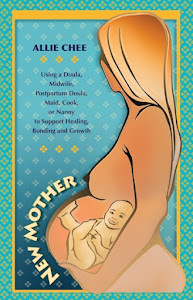 It is for those moms who want to be with their children, who want a more natural experience of childbirth, who suspect that motherhood could and should be a magical time (even if they don’t know how it can happen or even if they find themselves overwhelmed) that I wrote my book, New Mother: Using a Doula, Midwife, Postpartum Doula, Maid, Cook, or Nanny to Support Healing, Bonding, and Growth. Her published titles are: New Mother, Free Love & Go, Jane! if young mother's knew how quickly this special time of little miracles becomes the past they would be sad to leave the home. Thank God as a dad I have a super interesting job, otherwise I'd be really bummed leaving home every day. It's hard enough to be away even with a great job. Like you, I knew one day that I would marry and have the awesome privilege of rearing children. My ideals for how I would rear them was intense. I acquiesced that this maturity level required would take some time to gain. Meanwhile, I wanted an illustrious career filled with travel, income, awards, etc. This was a message ingrained in me by the feminist movement in the 1970's to today. Then (during my formative years in the 70's and 80's), motherhood or being a stay-at-home mom was seen as a concept that one was not smart enough to be anything else. Logically, this negative stigma has forced millions of American women to apply a distaste to this identification. However, I have found that it takes an unimaginable sense of wisdom, knowledge, discernment, courage, craftiness, a daily renewed sense of hope, entertaining and educational savant to take on this role. Most people spend more time researching how to buy a vacuum cleaner than do rearing children. Our country is in the slums of education for being a world power. Our attention has been directed off successfully rearing well-educated, respectful, successful, joyful children and has turned its attention to self-fulfillment and immediate self-gratification of material things which do not leave a lasting legacy for generations to come. Our industrialized nation is suffering because we have not highly educated our women and are leading them off into a dangerous abyss. Alongside this, I have to say that our men need to place the woman in a higher position of respect and affection. When women are not cared for at home, they will have a greater tendency to leave the home and search for work that fills their deepest needs;or that their significant other is in need of financial assistance requiring her to leave the nest and abandon the great needs of their home and children. Ladies, can we have it all? The answer is yes, but not all at once. TOTALLY AGREE!!!!!!!!!!!!!!! I can't wait to be stay at home Mom with my kids... especially for the 1st 3 to 5 years. I couldn't agree more! Staying at home is the most rewarding job I could ever ask for. Nobody can love your child like you. "That’s not what we’re all called to do, nor what we’d want at every phase of life." I totally agree with this and I try not to judge anyone's choices about whether they stay home with their children or work outside the home. In my 20s I thought I would marry someone who could afford to financially support our family while I raised the children. However, being divorced with an 18-month-old required me to earn my own money and support my family of two. It's not always as simple as choosing to stay home with your baby. I love my daughter with my whole heart, and I worried that she and I both suffered from our circumstances of me working when she was so young. Then again, as she has grown older, I truly believe that she sees me as strong and independent and self-sufficient, and I don't think there is anything wrong with that model, either. Now that I am re-married and have emotional (and financial) support, I continue to work because I really love my job and I am proud to contribute to the economic side of our household. My husband and I have a partnership - in building our home, and in raising a little girl into a young woman. 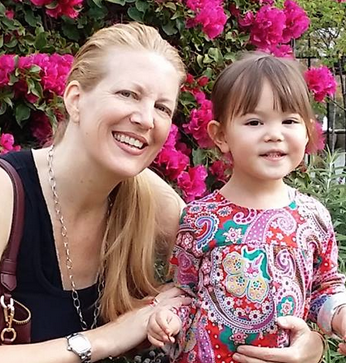 We both participate equally in all aspects, and it turns out that - despite what I thought when I was 22 and single - THIS is what feels right to me as a mother. I applaud women who stay home with their babies, but I also salute the moms who work. Everyone brings something to the table, and each mother is an important facet of our society. Indeed! I understand your situation well, as my mother raised my sister and me alone, without financial support, and without support from extended family, from the time we were 2-years and 2-months old respectively. An incredible task, and a great joy for her, too. I admire my mother's resilience and strength as your daughter admires yours!